This performance features our 2017 Concert Competition winner, violinist Yun Jae Choi. Born in Seoul, South Korea, and she has been playing the violin since age 5 and received her Bachelors of Music from New England Conservatory in 2016. She is now continuing her studies at NEC towards her Master’s degree, studying with Soovin Kim. Yun Jae is a member of the Edelweiss Piano Trio, winner of the NEC Honors Chamber Music Competition 2014-2015 season, and has served as concertmaster in the NEC Philharmonia Orchestra and assistant concertmaster of the New York String Orchestra at Carnegie Hall. 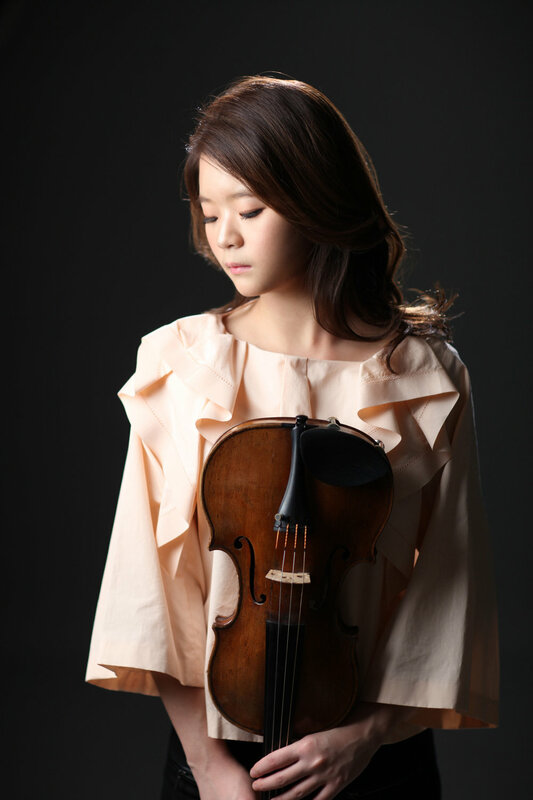 Yun Jae made her solo debut in December 2008 with the Amsterdam Theater Orchestra at Concertgebouw in Amsterdam. She has also attended Heifetz International Music Institute, Sarasota Music Festival, Great Mountain Music Festival, Master Class for Strings and Winds at the Banff Centre, New York String Orchestra Seminar, and Kneisel Hall Chamber Music School and Festival. Ludwig van Beethoven composed Violin Concerto in D major, Op. 61, in 1806 for Franz Clement, a leading violinist of the day. It is believed that Beethoven finished the solo part so late that Clement had to sight-read part of his performance, and the violinist is said to have interrupted the concerto between the first and second movements with a solo composition of his own - played on one string of the violin held upside down! Due to this unsuccessful performance, the piece suffered obscurity until revived in 1844, well after Beethoven's death, with a performance by the then 12-year-old violinist Joseph Joachim with the orchestra of the London Philharmonic Society conducted by Felix Mendelssohn. Ever since, it has been one of the most important works of the violin concerto repertoire, and is frequently performed and recorded today. Tchaikovsky Symphony No.3, op.29 "Polish"
Pyotr Ilyich Tchaikovsky's Symphony No. 3 in D major, Op. 29, was written in 1875. Written in just three months, the work is unique in Tchaikovsky's symphonic output in two ways: it is the only one of his seven symphonies (including the unnumbered Manfred Symphony) in a major key (discounting the unfinished Symphony in E♭ major); and it is the only one to contain five movements (an additional Alla tedesca movement occurs between the opening movement and the slow movement). After its premiere performance, Tchaikovsky seemed unsatisfied with the work and wrote Nikolai Rimsky-Korsakov, "As far as I can see this symphony presents no particularly successful ideas, but in workmanship it's a step forward." Western critics and audiences have referred to the piece as the "Polish Symphony" since 1889, in reference to the recurring Polish dance rhythms prominent in the symphony's final movement. But several musicologists consider this name to be a faux pas. Listeners, conditioned by Chopin's use of the polonaise as a symbol of Polish independence, interpreted Tchaikovsky's use of the same dance likewise. However, in Tsarist Russia the polonaise was musical code for the Romanov dynasty and, by extension, Russian imperialism.